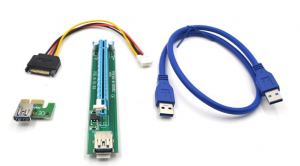 Sometimes buying the right PCI Express USB 3.0 riser extender cable can be difficult. 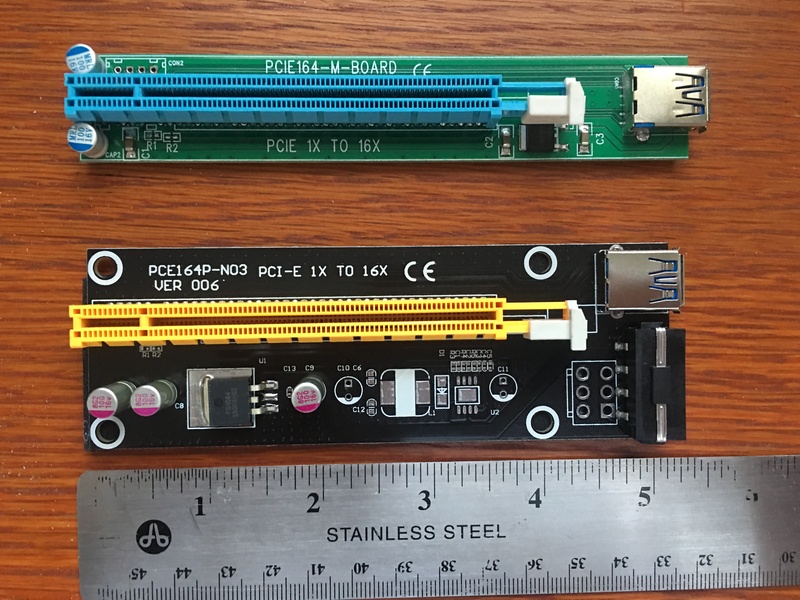 Early builds for GPU mining rigs used the PCI-e 3 slots directly on the motherboard. Soon people realized they had extra PCI-e slots that they could use. Someone came up with the clever idea of creating a ribbon cable that would run from the PCI-e 1x slot on the MOBO to the 16x adapter on the end of the graphics card. This allowed you to use more slots in your MOBO. It allowed you to use cheaper MOBOs for mining. Finally, they allowed you to place the GPU a few inches above the MOBO which offered better air flow. I later learned about powered ribbon cables. 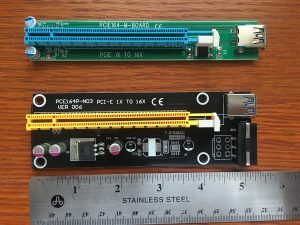 These supplied additional power via Molex connector. Since motherboards weren’t originally designed for 6 GPU mining rigs we needed to provide extra power to our ribbon cables. 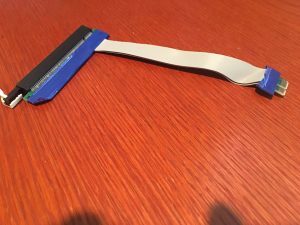 I had been mining about a year when I heard of a new type of PCI riser cable. The USB 3.0 riser/extender card/cable. The USB cable was much longer than the ribbon risers. Typically the cable used is between 50 cm and 60 cm long. (20 – 24 inches.) It allowed for even greater flexibility when GPU mining. 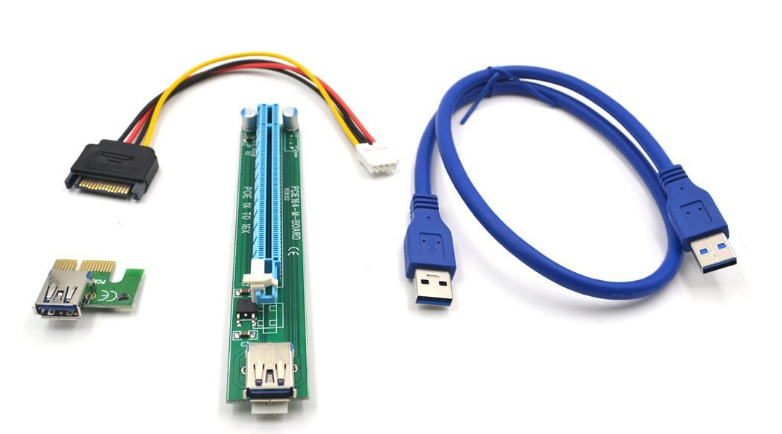 This was the very first PCI-e USB riser I purchased for my own mining. I didn’t know it at the time but it was a version 1.0 PC-Ie riser. All I knew was that it was cheap to purchase. I needed to buy a bunch for my rigs so cheap was good. 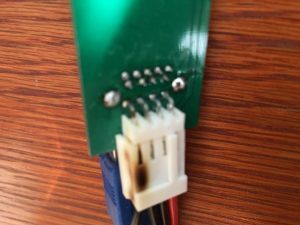 I was new to PCI-e riser extender cables. I didn’t know anything about these so I had no idea this was a bad USB riser card to buy. When I received them and tried using them I quickly found several problems. The first problem was they had mounted the power cable underneath the USB port. It may be hard to see in this photo but it sticks out from the bottom of the circuit board. This isn’t really mounted securely to the circuit board. 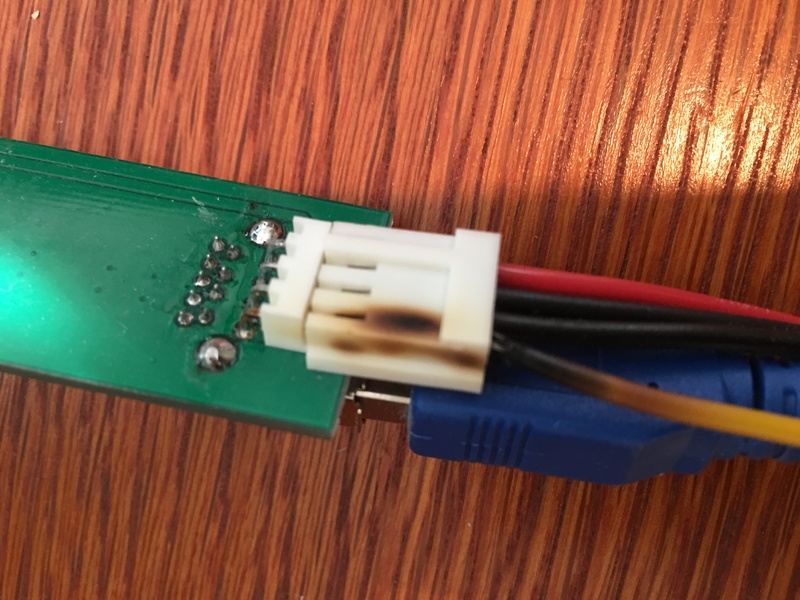 There are just 4 pins and when you push with any force to get the SATA power cable I popper the power right off the circuit board. The second issue with the power was the power itself. Apparently it wasn’t rated for the amount of power we’re running through these. I later realized this was DANGEROUS. If you’re using these riser cards you need to check them immediately! These are actually photos from my old cards. They ALL look like this. They’re burning up! What I’ve learned since then is that there are differences in 1x to 16x USB 3.0 PCI-e powered riser extender cards. The first is that the better ones have 3 capacitors rather than 2 capacitors. You can see the little round capacitors in this photo comparing a version 1 riser with a version 6 riser. I’m not sure about all the changes. A few you can notice right away. The materials used are clearly different. The power supply is no longer underneath the board. The circuit boards actually have a flat bottom and a piece of foam rubber covering them. The power supply is also reinforced to make sure it doesn’t easily snap off when you plug your Molex power connector into it. I don’t know enough about all the other little circuitry that goes into making a circuit board. I don’t know the difference between version 3 and version 5. Someone even told me that the wires themselves aren’t really standard USB. You can’t swap them with regular USB cables. The wires inside the cable are re-wired. Much like how a crossover cable and a standard ethernet cable use the same cable but different wiring to the connectors. If someone can explain this better to me please leave a comment and let me know. 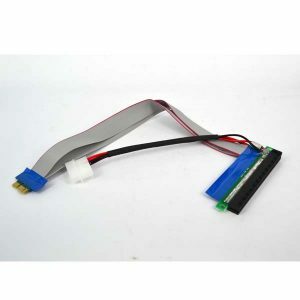 We only sell the newest version of 1x to 16x PCI-e riser cables. We don’t always know why the new version is available. It could be something as simple as they’re using a new manufacturer of the little components on the board itself. It could be in the wiring or in the cable. But I’ve come to trust that newer is usually better when buying PCI-e extender cables.